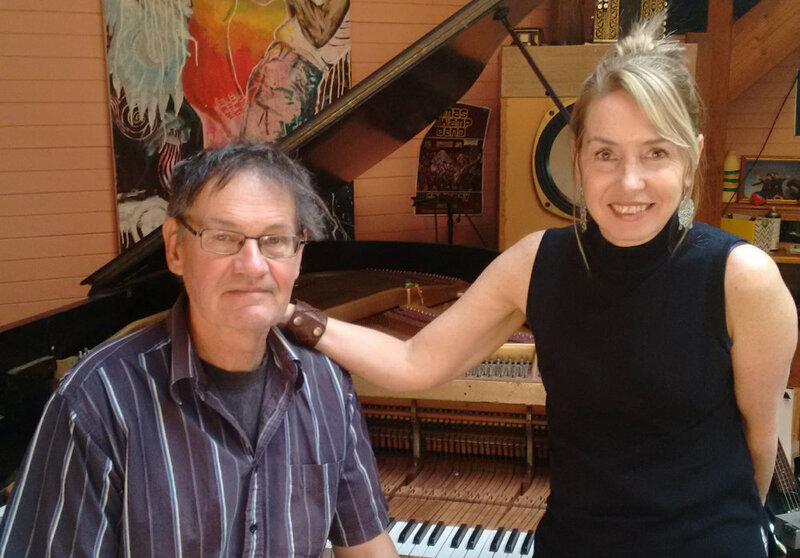 Neil Sagewood has been a leading pianist and composer in the Blue Mountains for 30 years. With a jazz background he specialises in world music, particularly Afro-Cuban. Neil is most well-known as the extroverted piano player from local Salsa band, Babalu. Anne Crestani is a well-known local jazz, latin, funk and soul singer and has performed in venues across the Blue Mountains and beyond for over 20 years. She has performed as a singer with a number of local bands including, Babalu (salsa band), The Groove Co-op, Xmas Swamp Band (funk and soul) and Axiom Trio (jazz), just to name a few. Anne and Neil have enjoyed performing together in various musical ensembles over the years and have great pleasure in putting together a wonderful sampler of beautiful tunes from the musical worlds of jazz & latin. A pared back arrangement (just voice and keyboards) will allow the beauty of the selected songs to be fully expressed and experienced.